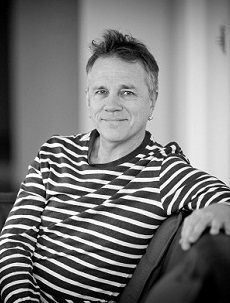 Toby Miller is a British-Australian-US interdisciplinary social scientist. He is the author and editor of over 30 books, has published essays in more than 100 journals and edited collections, and is a frequent guest commentator on television and radio programs. His teaching and research cover the media, sports, labor, gender, race, citizenship, politics, and cultural policy, as well as the success of Hollywood overseas and the adverse effects of electronic waste. Miller's work has been translated into Chinese, Japanese, Swedish, German, Turkish, Spanish and Portuguese. He has been Media Scholar in Residence at Sarai, the Centrefor the Study of Developing Societies in India, Becker Lecturer at the University of Iowa, a Queensland Smart Returns Fellow in Australia, Honorary Professor at the Center for Critical and Cultural Studies, University of Queensland, CanWest Visiting Fellow at the Alberta Global Forum in Canada, and an International Research collaborator at the Centre for Cultural Research in Australia.